Hello, friends of the interwebs. Hee. Hope everyone is fine today. I have been quite busy lately, but I finally have time to relax for a bit. And when I relax, I invariably start watching Anime. To put it simply, they aren’t just cartoons. Anime has intricate storylines and plotlines and generally has characters face up to situations they shouldn’t be able to withstand, just like any good fiction book does. Only with animated characters. Who talk, and move, and do all sorts of fun things onscreen. When I am asked by someone why I like Anime, I tell them to go check out Inu Yasha. 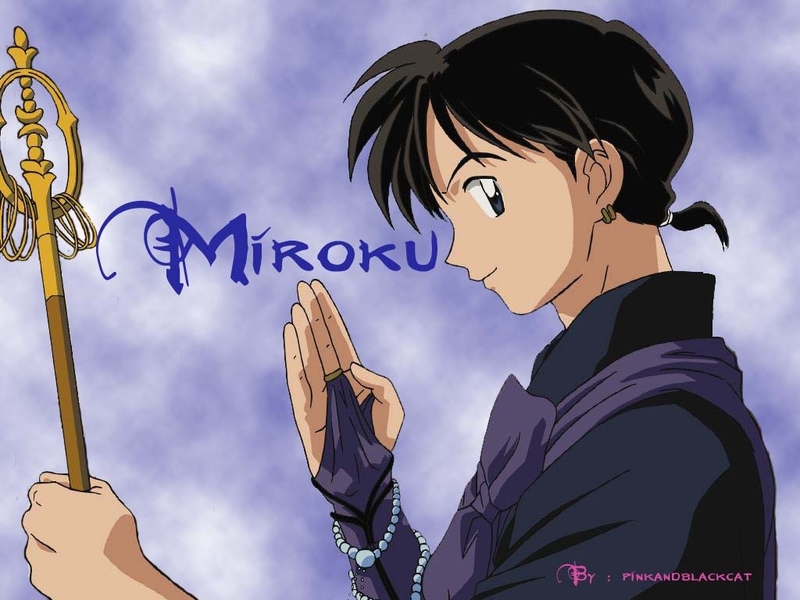 This is a “classic” anime here in the US – one of the first regularly broadcast on late night Cartoon Network when they first started showing Anime. It is a gem of a story, and it has drama, action, adventure, and one of the best soundtracks you’ll ever want to hear. 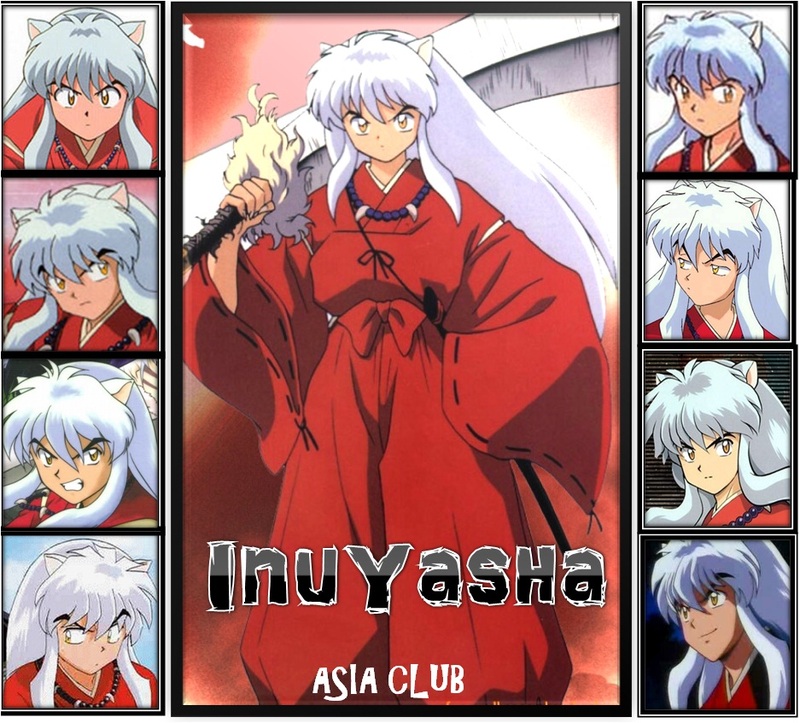 Inu Yasha starts out when Kagome, a typical Japanese schoolgirl who lives with her family in a shrine that her grandfather runs, falls down a well on the shrine’s property. 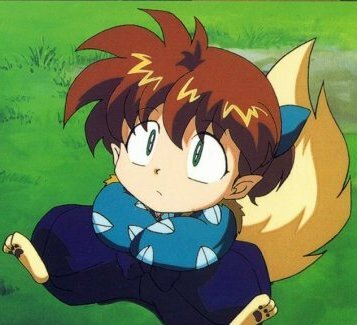 She comes out the other end in Feudal Japan, just in time to see Inu Yasha, a half-demaon (his father was a great demon, his mother was a mortal) awaken from a curse that bound him to a tree (a tree that still exists in the shrine grounds, to this day!) for the last 50 years. Kagome finds out that she is the modern day resurrection of the priestess Kikyou, who bound Inu Yasha to the tree in the beginning! Kagome finds that in her resurrection, she also has inside her the Shicone Jewel – a sacred jewel that can grant its owner one true wish. The demons want it as bad as the humans, and it is removed from her body. As a bird demon is stealing it, Kagome lets fly an arrow which strikes the Shicone Jewel and shatters it into a thousand shards. 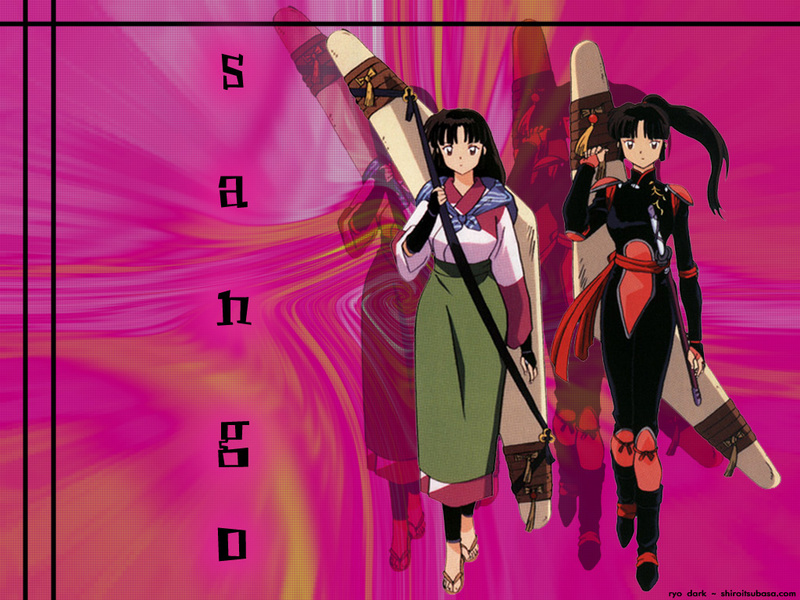 Thus begins one of the most epic anime adventures ever – Kagome, Inu Yasha, and sme friends they meet along the way, try to recover the shards and recreate the jewel purely, before the evil demon Naraku can complete it and defile it to use it for his evil wishes. 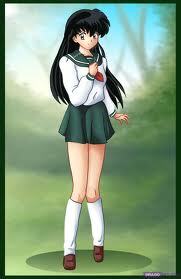 9) The fact that the main character, Kagome, is from modern times, but almost all of the action takes place in the past, in Japan’s feudal era. This little fox demon, who joins the group early on, is one of the most fantastic characters of the show. He is a child, and joins the group because he lost his father, and he provides an infinite amount of humor to the series. This demon hunter from the Demon Hunter’s village saw her entire family get slaughtered by her little brother who was possessed at the time. She sets out to find her brother Kohaku, free him from his possesssion and bring him home. She’s also a kickass fighter who isn’t afraid to stand up to anything for the people she cares about. Yes, I know she’s the main character, but that should just tell you how much more about this show there is to love. The main man himself. He’s such a deep character that you really, really get to like him, even though there are times he does and says things that will totally piss you off. 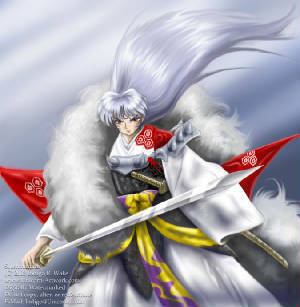 2) reason for loving Inu Yasha is actually, Sesshomaru. 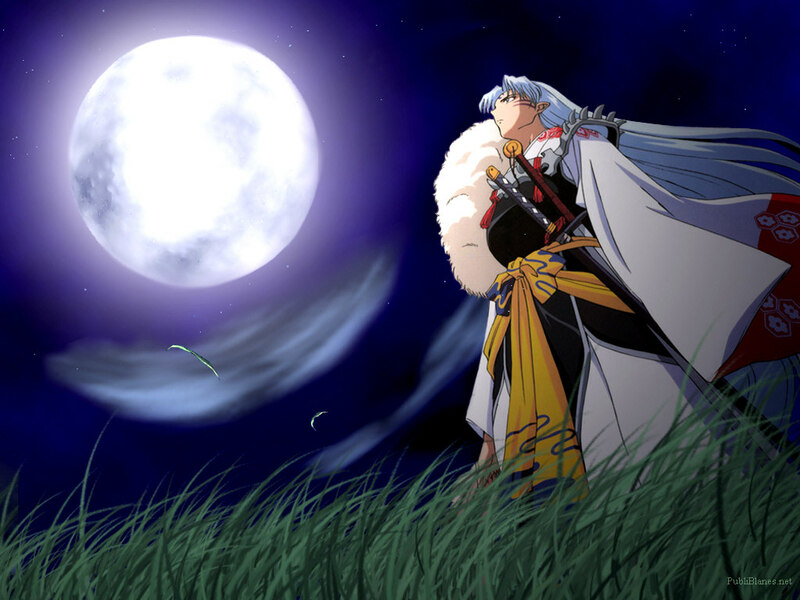 1) reason for loving Inu Yasha, Sesshomaru’s Bakusaiga. 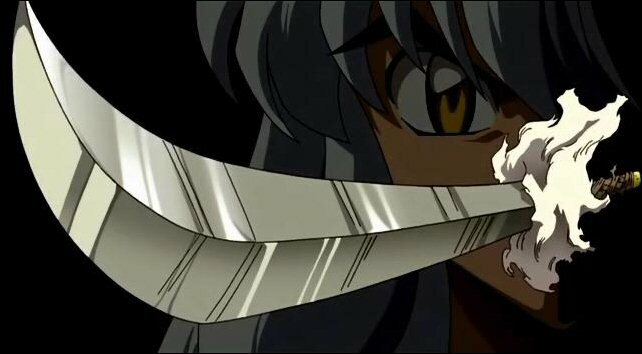 Pronounced “Bok – sigh – gah”, it is the ultimate weapon that Sesshomaru’s father could have left to any of his progeny. Sesshomaru just had to grow up enough to realize it before he could access it. Now, if that didn’t make you wonder “What the hell is he talking about, and is it really that good? Should I go try this Anime stuff out?” Then I have hopelessly failed at my attempt tonight. But I have a feeling that I didn’t fail. 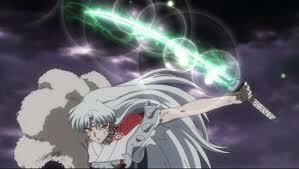 Go on, try out Inu Yasha. You know you want to.